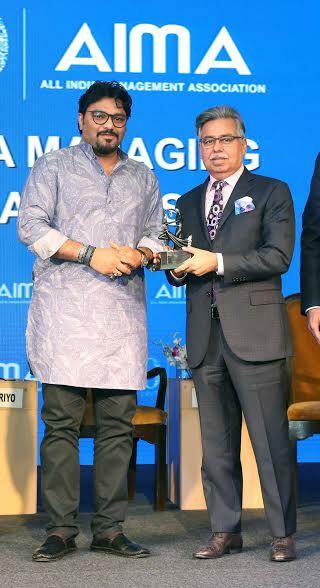 Hyderabad: Mr. Pawan Munjal, Chairman, MD & CEO, Hero MotoCorp Ltd, was today felicitated by the All India Management Association (AIMA) for the rapid global expansion of Brand Hero. Hero MotoCorp, the world’s largest two-wheeler manufacturer, was adjudged the ‘Indian MNC of the year’ by AIMA at a glittering function in the national capital today. Hero MotoCorp, which sold more than 6.6 million two-wheelers in FY’17, is the only Indian two-wheeler company to have a manufacturing facility in Latin America. Hero’s manufacturing plant is situated at Vila Ricca in Colombia. Hero is also set to open its second global manufacturing facility in Bangladesh later this year.